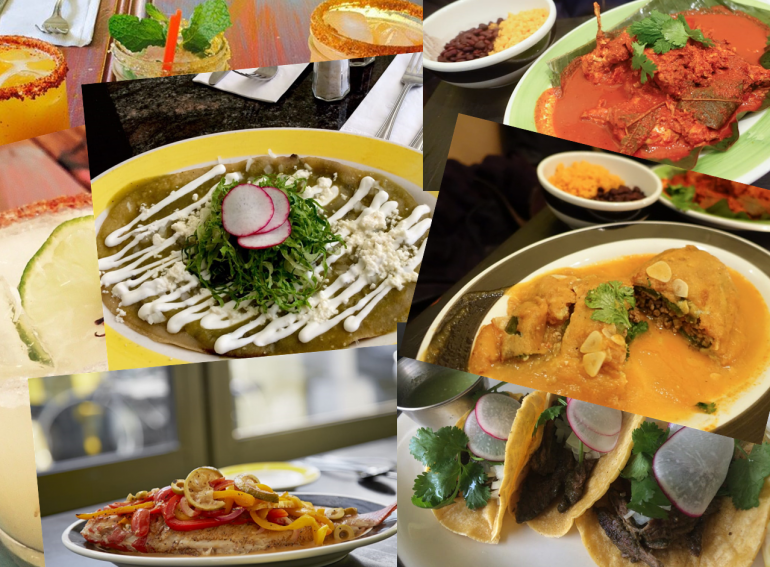 Mexican cuisine is no doubt one of the most complex, diverse and rich of the world. When we think of it, the first things that come to our minds are of course tacos, quesadillas and burritos. But there's actually much more than that- way much more! The staples are native foods, such as corn, beans, avocados, tomatoes, and chili peppers, along with rice; but besides that, exotic ingredients like grasshoppers and scorpions can be part of the menu too. Edible "chapulines" (grasshoppers) are one of the most important insects in Mexico and have been a vital part of local diets for centuries. With a great source of protein and a low carbon footprint, the insects are safe to eat. Mexicans are always reinventing their dishes, but sometimes you just need your fix of authentic Mexican food. That's where Citrico comes in. Influenced by the southern states of Mexico, you can find the family-owned and operated restaurant Citrico in Brooklyn. Their menu offers authentic ingredients with accents of citric flavors. Owners, Noor Shikari and Luis Davila shared with us their passion and gave us a taste of unique dishes that only real brave foodies will dare to try! 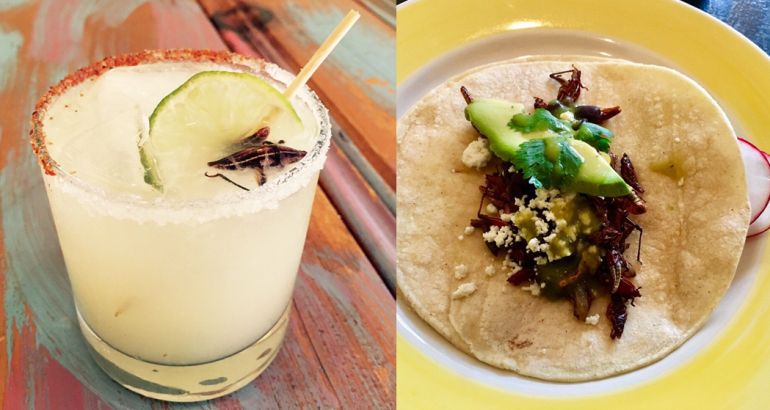 They introduced us to the Tostadas de Chapulines paired with Lime Margaria topped with a Chupulin. The tostadas (can be served as a soft taco or tortilla) is a homemade tortilla filled with black beans, avocado, sour cream, edible crickets and chopped lettuce. Luis -owner and chef- told us soon he is going to start serving scorpion tostadas and tacos - we still don't know if we are that brave! After that, something less "exotic" but totally unique and delicious came to our table; the Deep Fried Avocado with Ceviche. The name says it all! Half seedless avocado is submerged in a secret Citrico recipe batter to later be deep fried. The golden and crispy avocado is topped with Ceviche and Chipotle Mayo Sauce. At the restaurant you won’t be able to find nachos or the typical beef or chicken tacos. So if you really want to try different authentic dishes like Oxtail Mole, Pork and Mushrooms Enchiladas, this place is for you! Amazing specials during the weekdays are part of the offer too. 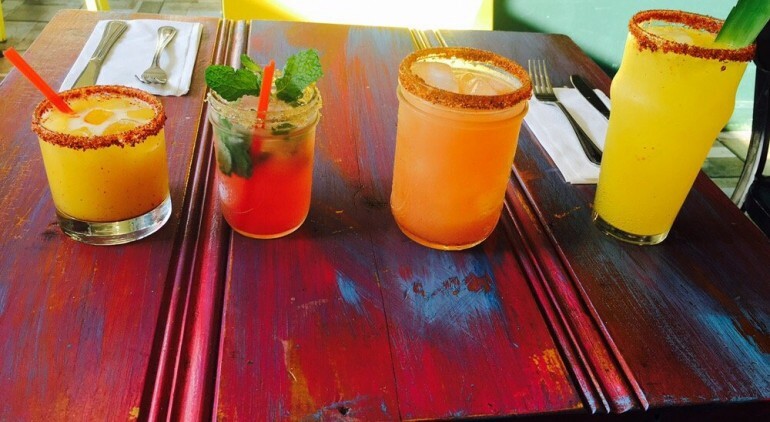 Margarita Monday, Taco Tuesday, Miercoles de Mezcal and Thisty Thursday are the perfect excuse to go out with your friends. On March 25th is the third anniversary of the restaurant and the owners are going to make a big celebration. Stay tuned on Citrico's Instagram account for more details and remember 'El Sabor Citrico de Mexico' is now in Brooklyn!